We are trying to satisfy customer's need for competitive price and high quality with our special know-how and experiences. We started export to overseas market from 2002. We have already exported over 14 countries in the world. Our major products are Single~5 Layer Extrusion line, Injection Heading Machine, Multi color Offset printing Machine, Top Sealing & Capping Machine and so on. Especially extrusion line has excellent productivity with price competition. Injection Heading Machine is also easy operation and high flexibiltiy. 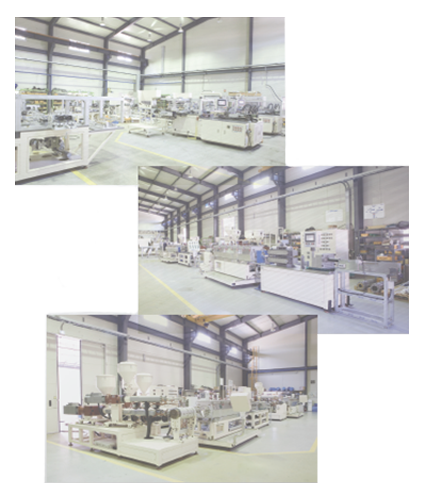 All GCM machines give cost down effects and are very proper for small quantity batch production.